Pineapple is known as king of fruits, fruit which in the past was only available to natives of the tropics and the rich Europeans. This tropical plant originated from Uruguay, Brazil, Puerto Rico and Paraguay. Ripe and juicy pineapple will satisfy your sweet tooth. Besides good taste there are many health benefits. Pineapple is rich in vitamins and minerals, and contains a low amount of fats and cholesterol. Pineapples contain roteolytic enzyme called bromelain. Bromelain breaks down proteins, has natural anti-inflammatory properties and reduce swelling. Pineapple helps in healing the sore throat, arthritis and joint pain. Anti inflammatory properties of pineapple fruit reduce the symptoms of arthritis and help to reduce pain after surgery and sports injuries. To increase the efficiency, pineapples should be consumed between meals without other foods. On the other hand, the health benefits of bromelain is improving digestion. 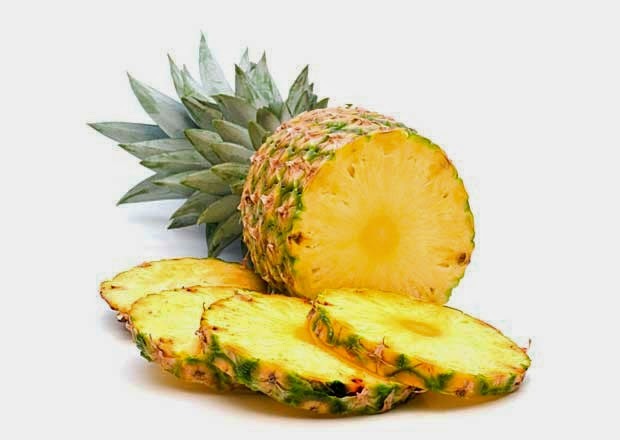 If pineapples are consumed with other foods, bromelain will help in digesting it. 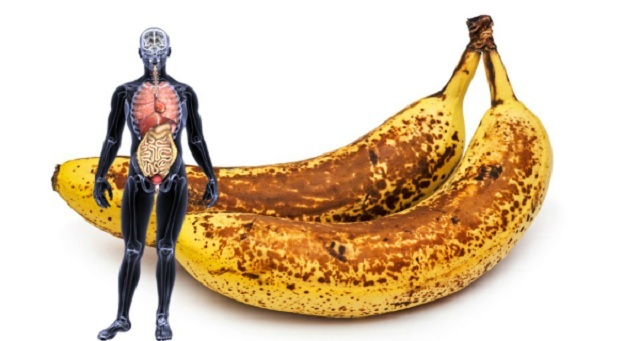 One of the benefits of this fruit is that it helps to build healthy bones. 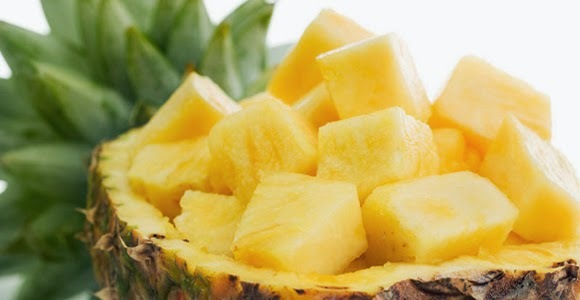 Pineapple is rich in magnesium and trace mineral that is needed by the body to build bone and connective tissue. Just one cup of pineapple juice provides 73% of the recommended daily amount of magnesium. The benefit of pineapples can cause bone growth in young people and strengthening of bones in older people. This fruit is a good source of vitamin C and it offers excellent protection from free radicals. According to research vitamin C, the most important water-soluble antioxidant is invaluable against the destructive effects of free radicals. Pineapple is good for colds and cough. Usually when people get sick they consume orange juice as a source of vitamin C, but it is good to know that the benefits of pineapple juice against cold or cough are also good as orange juice, plus with additional benefits because of bromelain, which helps cough and other symptoms of colds and flu. Pineapples can improve oral health. Eating pineapple reduces the risk of gingivitis and periodontitis. Besides increasing the ability of connective tissue to regenerate, it also increases the body’s ability to fight invading bacteria and other toxins that contribute to gum disease. Australian scientists have found useful molecules in the stalk of pineapple. Initial studies have shown that they prevent the occurrence of certain types of cancer (cancer of breast, lung, colon, ovarian and skin cancer). If you want to get all benefits of pineapple it is the best to be consumed fresh.